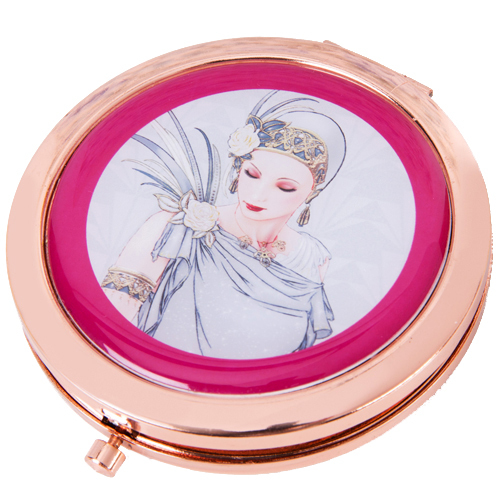 A fabulous Charleston compact mirror with 'Lady in Grey' design. 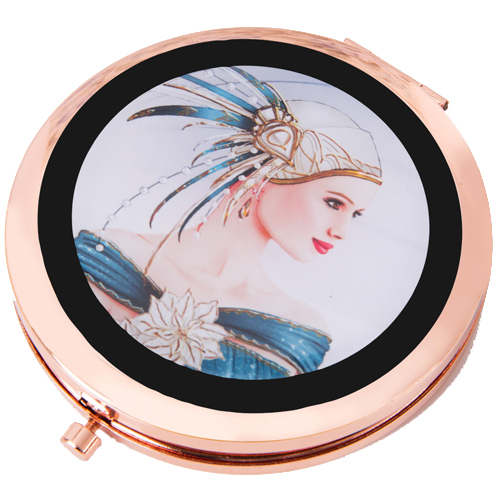 This 1920s style compact mirror will make a lovely gift for a birthday or special occasion and will make a wonderful stylish addition to someone's handbag. 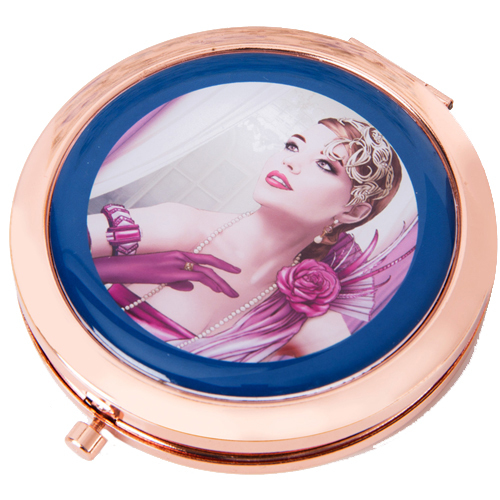 The round compact mirror features a lady in blue dress design and a dual mirror with a rose gold finish. It makes a great gift and is in keeping with the art deco trend of the season.